While the speaker does sound much better after removing that speaker grille, we're left with another problem: It's still a single speaker, and many other OEMs, like Apple, HTC, and ZTE, have opted for a dual speaker setup in their 2016 handsets. So to put the V20 on par with other flagships, developer freeza modified the mixer_paths_tasha.xml file to force the earpiece to fire at the same time as the built-in speaker, producing true stereo sound. This mod works by replacing a system audio configuration file with a modified version. While freeza created the initial mod, the developer has since abandoned the project, so I went ahead and updated his mod to make it compatible with the V20's latest firmware versions. So to begin, tap on the following link to download the file. Next, you'll want to open up your root-enabled file explorer and navigate to the /system/etc folder from the root partition of your device. 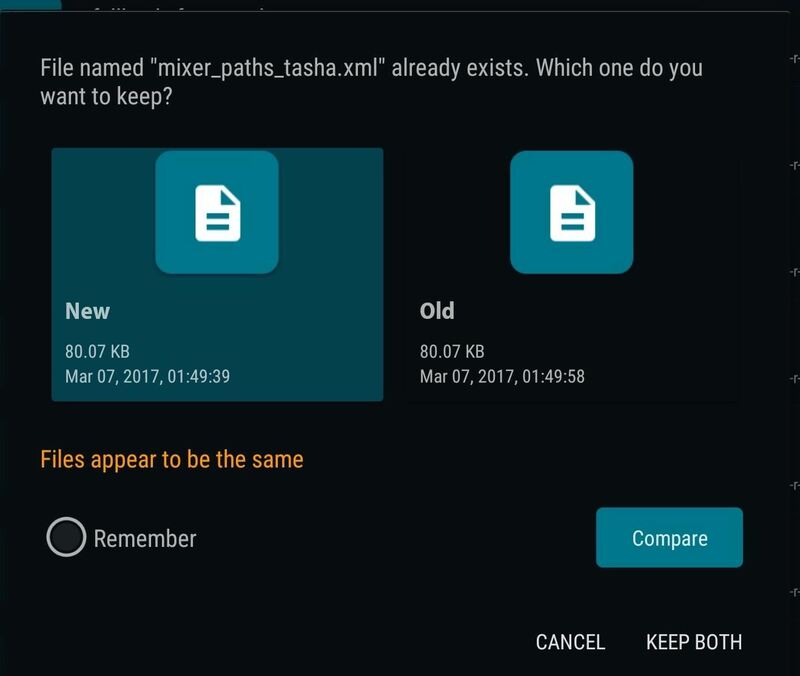 From here, find the mixer_paths_tasha.xml file and copy it to a location on your SD card as a backup in case you ever want to revert the mod. From here, go to your Download folder to copy the modified XML file you grabbed in Step 1, then paste it into the /system/etc folder. You'll be asked if you want to replace the existing file with the same name, so tap "Yes" or "Replace File." Once you've replaced the stock XML file with the modified one, reboot your phone so that it'll kick into effect. When you get back up, you'll immediately notice that you have true stereo sound on your LG V20. Since the earpiece was never intended to get as loud as the bottom-firing speaker, it will have slightly lower volume. On that note, it's probably best not to max out the volume while listening to music, since we're not sure what the earpiece is capable of. Besides that, enjoy the mod and be sure to let us know if it's something you're happy to have done. Share your thoughts and comments with us in the section below! It boggles my mind why all phones don't build this functionality right into the device... The speaker is already there, why not use it?